We leased a 2015 Nissan Leaf in late 2014. This was our first electric vehicle (EV). We liked the car, but we retu rned it to Nissan when the lease expired. We've now leased a Chevy Bolt. Why we did so is explained below. We leased the Leaf model S, the cheapest of the Nissan Leaf line. We opted for the DC Fast Charge port so we could take the car on road trips. And we did. We drove our Leaf, EVie we called it, all across southern California. We've documented these road trips and our experiences on my web site at EV Trip Reports. We didn't baby the car. We drove it like we would drive any car. We wanted to see what it was like to drive electric and then report on the pros and cons to others. It was much like my testing of small wind turbines. I'd report on the car, warts and all. However, we didn't want to own the car. The range was too limited to begin with and coupled with the degradation of the car's traction battery in the three years we drove it made three of the four routes out of Bakersfield problematic. We lost 15% of capacity in three years or some 12 miles of range in a car with an EPA range of 84 miles. 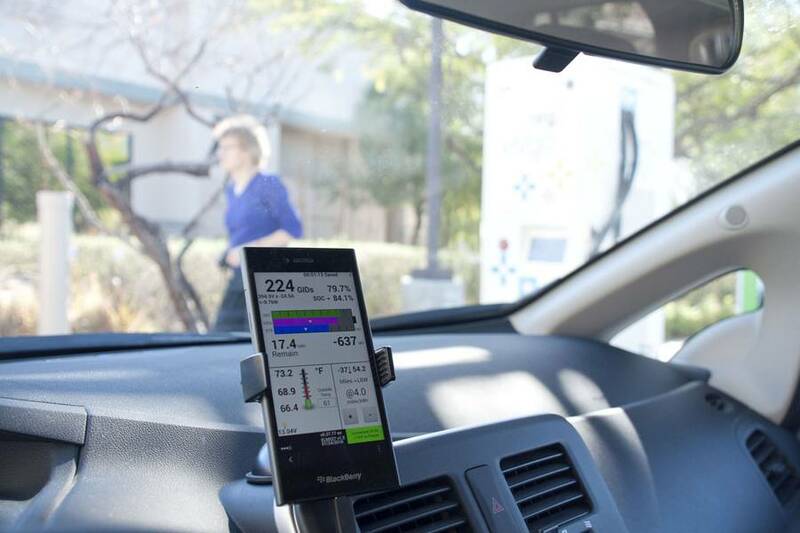 The decline in battery capacity required us to charge the Leaf every couple days just to drive it around Bakersfield. Below are some specific comments about the Leaf. These comments reflect both our general observations and an implied comparison with our Chevy Volt, our new Chevy Bolt, and previous cars we've owned. As you will see, we were satisfied with the car--as a car--and with Nissan. We had no issues with the car or with Nissan. The lease of the car was painless. We leased it by mail order. See Buying an Electric Vehicle Mail Order: Or Why we bought our Leaf from Petaluma and Not Bakersfield. We took the car in to the dealer only once and all they did was wash it. We liked the way the Leaf drove. It had plenty of acceleration for us. We liked the way the Leaf handled. (My sports car days ended when I left my MGB in the hands of my brother.) For example, we found the Leaf's handling far superior to our Toyota Prius on the drive up the sinuous Kern Canyon. 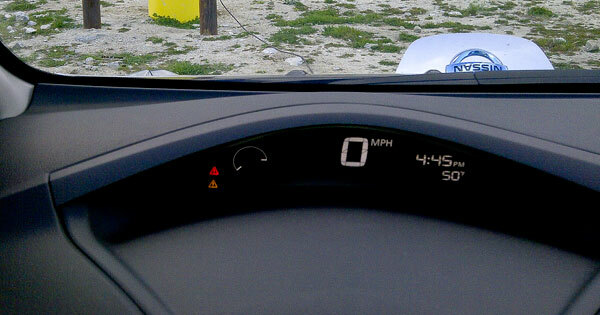 The low center-of-gravity of the Leaf was a big plus and is probably something you can expect from most EVs. We had no complaints. We found the Leaf easy to get into and easy to get out of particularly in comparison to the Chevy Volt's cramped cockpit. I am more conscious of this than I used to be. I had back surgery in 2016 and that changes how you perceive getting into and out of cars. We found the Leaf's passenger compartment and trunk spacious. The instruments were clear and easy to read. The driver's position was good for seeing the road and the instrument cluster. The S model's instrumentation was basic, but included a State-of-Charge meter that's a valuable addition to any electric car. General Motors, Chevy's parent company, would be wise to note this. We liked the position of the digital speedometer above the instrument cluster. It was easy to read without taking your eyes off the road. 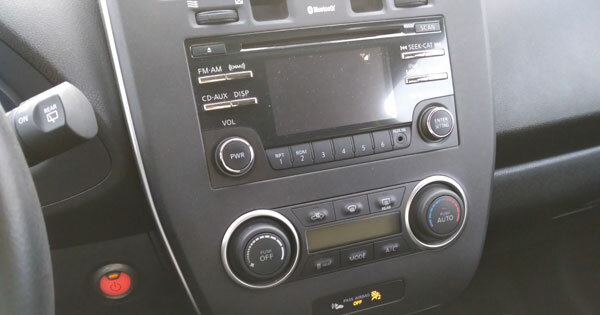 We liked the simple mechanical controls for the radio and climate control system. The radio was controlled with two knobs. One knob tuned the radio. The other knob turned the radio on and off and controlled the volume. This may seem like a small thing and it is--unless you find yourself in a car, as the Bolt, without such simple controls. The appointments were in keeping with the low-end model of the Leaf line. There was nothing about the interior that one could label "fancy" or extravagant. The recycled materials used in the seats were comfortable and fit our lifestyle. The floor mats were plush and suffered little from three years of use. 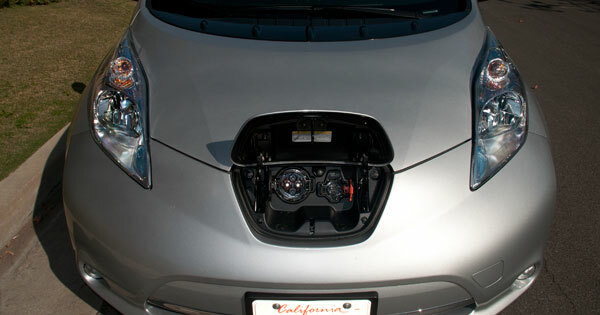 Nissan's center snout charge port is an inspired choice relative to other EVs. The Leaf is, after all, not a gasser so it doesn’t use the same infrastructure as gasoline-powered cars. Most Level 2 charging stations are at the end of a parking space, not at islands as gasoline pumps are. With the Leaf we just simply parked nose in. Contrast this to what you see at some charge stations with vehicles backing in to get their charge ports close enough so the charge cable can reach the charge port. There's no need to design an EV to use the same infrastructure as conventional vehicles. Nissan got this right. We kept the tires well inflated at 40 psi. Even so we noted some wear on the front set and had the tires rotated once in the three years of the lease. We didn't need to replace the tires after driving some 17,000 miles. 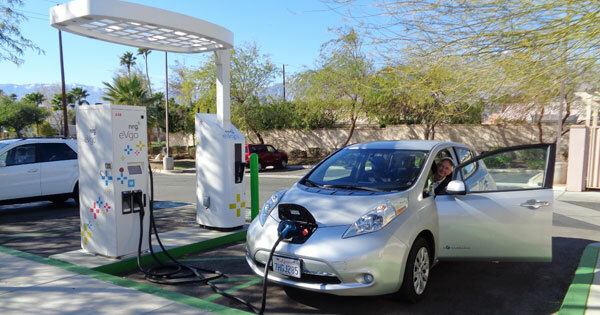 Early adopters of EVs, like us, had to deal with limited range and limited charging stations—or the small gas tank and few gas stations dilemma. Our road trips required careful planning, conservative driving, and not a little bit of luck that the charge station we needed wasn't occupied--and was working. As Tony Williams, a pilot and early EV pioneer, likes to say, "You plan the drive, and drive the plan." We made the 84-mile range of the Leaf work for us. We learned how to hypermile during some tense early drives. We also learned patience. If you wanted to climb over the Tejon or Tehachapi passes to get out of the San Joaquin Valley you learned how to drive comfortably in the truck lane in the midst of a long line of trucks moving at their crawl speed. But Bakersfield is hot--blazing hot at times. The early Leaf's battery was heat sensitive and degraded rapidly in places like Phoenix, Arizona. By the 2015 model, Nissan was using what the message boards called the "lizzard" battery. It performed much better than earlier batteries, but it too suffered degradation. We received delivery of the car in late October 2014. We don't know what the usable capacity of the traction battery was at the time of delivery. 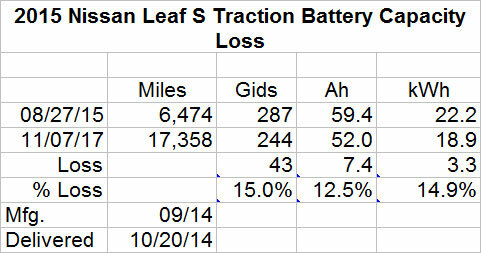 We only began measuring the battery's stats in late August 2015 with Leaf Spy. At that time the battery had 22.2 kWh of capacity. When we returned the car in November 2017 the battery had degraded more than three kWh or nearly 15%. Lithium-ion batteries are expected to degrade over time. However, a degradation of 5% per year is excessive under moderate use. We "lost our first bar," Nissan's measure of battery degradation, just before we turned the car in. Nissan was promising a new, improved Leaf sometime in 2018. 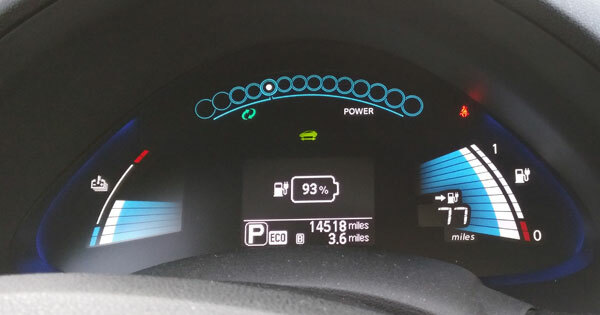 This new Leaf would have a bigger battery and greater range. The message boards were calling this "Leaf 2.0." In the meantime, Nissan was continuing to sell its "30 kWh" Leaf as it switched over to the new model. This is a slightly improved version of the car we leased. Nissan is playing catch up. Chevy introduced its Bolt EV in late 2016. The Bolt uses a 60 kWh traction battery with an EPA range of nearly 240 miles. The battery and its range put Chevy's Bolt in Tesla territory. We decided to wait on leasing a new car until the dust settled. So we extended our lease with Nissan. Our hope was that Nissan would offer something competitive with Chevy's Bolt. We were happy with the Leaf. Unfortunately, we were disappointed by Nissan's great "reveal" of the new Leaf. Nissan wouldn't compete with Chevy's Bolt on range until 2019. Some were calling the new Leaf "1.5" to indicate it wasn't quite the upgrade many had expected. Worse, reports were beginning to appear on the message boards that the 30 kWh Leafs were seeing far worse degradation than we had experienced with our 2015 Leaf. Then Nissan announced the sale of its battery plants to a Chinese combine. This was probably a wise move on Nissan's part. Something was not right with Nissan's batteries. Nevertheless, it's hard for customers to read the corporate tea leaves and determine what that means for cars produced in 2018 or even 2019. That's when we decided to bail on Nissan and move to the Bolt. That Congress was threatening to remove the federal subsidies for EVs didn't help matters either. Yes, it's unlikely, but we'd already reached the conclusion that we wouldn't be leasing any early Leaf 1.5s. There was nothing to be gained by waiting longer. We leased a Bolt LT, Chevy's base model, on 9 November 2017 and turned in the Leaf the next day. We've already started planning some road trips.